A Natural History of Dragons is one of those books that you should love. It has pretty much everything you could want: fantasy elements, DRAGONS, a badass main character, some action, a bit of mystery… but for some reason I just couldn’t enjoy it fully. Don’t get me wrong, I enjoyed the book, but I didn’t love it. I imagine that part of my enjoyment was sucked away with the way the story was told. As the series title suggests, this book is a (fictional) memoir, written by Lady Trent. It’s the first in a series, and this one tells of how Trent got into the whole dragon thing. The book very much felt like an introduction to the series, rather than a standalone novel in its own right. You see how Lady Trent’s fascination with dragons developed, and you get an idea of what the start of her career was like, but it all felt very disconnected to me. I think it’s because the story is being told by an older version of Trent, and in this part of the memoir she is in her late teens or early twenties. 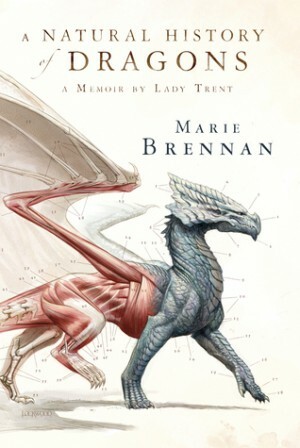 Another thing that I wasn’t (somewhat foolishly) expecting was that Lady Trent’s goal is to study dragons for science. There isn’t much action regarding the dragons, and there’s a lot of scientific descriptions of the predators that I just didn’t care for. I have to give Brennan props though. This did very much read like a memoir, perhaps one set in an alternate history or time where dragons roamed the skies. And the narrator of the audiobook that I listened to did a great job of capturing Trent’s upper class voice and tone. I can’t decide whether or not to continue with this series, so if you have done so then please tell me your views and experiences with it! It’s one of those books that you read and just forget about, so I don’t want to waste my time if the rest of the series is the same way. Loved this review. I was gifted a signed ARC of this title for Christmas. I hadn’t known much about it – I’m a dragon fanatic, which is probably why my husband sought it. Thanks for sharing your thoughts, Amber. 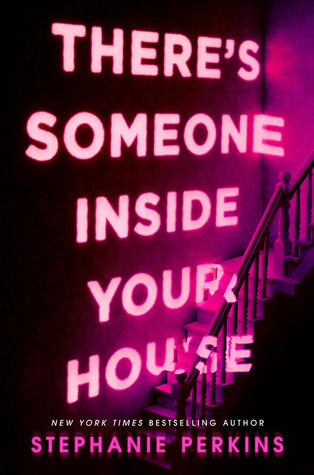 I can’t wait to read it.